Watch the videos and see the families of Operation Feed come alive to you. Check out the photos from the Open Your Heart fund raiser. This video is of the very poor families who receive weekly food despensas (packages) from Operation Feed in San Juan Cosala, Jalisco, Mexico. This is the largest feeding program in the Lake Chapala area. 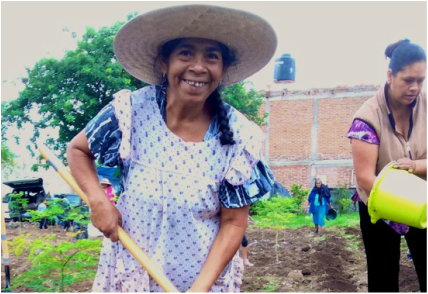 View the villagers and what was accomplished in 2013.
Review the work that was done in the Community Garden in April and May 2015 . Watch the duck project from beginning to now. 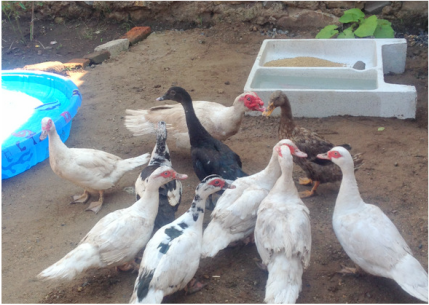 The women took a messy piece of the garden and turned it into a very healthy place to raise 25 ducks. Thanks goes to all the people who donated to the Tia Leola Trexel's Palacio de Patos.